Oklahoma’s only Brazilian market and cafe makes its home in Moore. 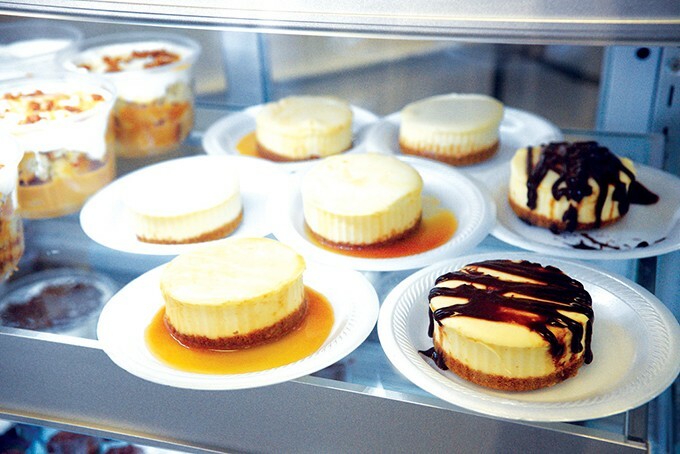 Condensed milk-based sweets are among the desserts available at Moore de Brasil. Growing up the daughter of Christian missionaries in Brazil, Cindy Combs would come to Oklahoma to visit her mother’s family in Oklahoma while her parents raised funds for humanitarian efforts in the Brazilian state of São Paulo. 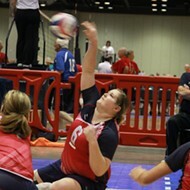 Oklahoma represented a new beginning for Combs and her three children in 2002 after her marriage ended. The family moved to Moore because Combs liked the school system and the fact it was a small town with opportunity in a large metropolitan area. Moore provided when Combs needed it. After a career working for the state’s foster care and adoption system, Combs and her daughter Julia De Aquino are giving back to the city that provided for them when they needed it and the state’s larger Brazilian community with the opening of Moore de Brasil, a cafe and the state’s only Brazilian market, located at 231 S. Broadway St. in Moore. “We tried to do something that would help Brazilians that live in Oklahoma to give them a piece of Brazil because there are certain ingredients, flours, cookies that you can’t find here no matter where you go,” Combs said. With every visit to Brazil, the family would stock their luggage full of treats to remember their South American home. When those ran low, they would venture to a market in Dallas. It was standing in line at the store last fall when Combs and her daughter, who had just finished business school at Randall University, got the idea to open their own market. De Aquino used the required business plan for her capstone course to devise a startup plan for the store. The duo eventually found an old office space and oversaw heavy renovation to install a small kitchen and retail space. Combs and De Aquino are partners in the business. 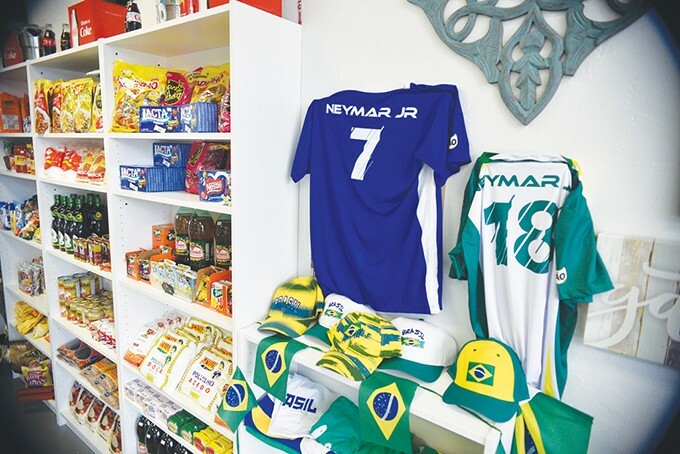 Brazilian memorabilia sits next to a market of dry goods and candy at Moore de Brasil. Mother and daughter complement each other while managing the cafe. De Aquino makes the pão de queijo, which is gluten-free cheese bread made from yucca root flour, and other savory options like the coxinha (fried potato dough filled with shredded chicken) and kibe (a Middle Eastern dish popular in Brazil made with ground beef mixed with bulgur wheat and fried). Combs makes the cafe’s sweet options like pão del mel, a traditional honey cookie; personal-size cakes; and sweets brigadeiro and beijinho, a pair of truffles made with condensed milk mixed with cocoa and coconut. “Every party my kids had, I made beijinho, and everyone was like, ‘Oh my gosh! What is this?’” Combs said. The cafe has been a hit among American customers, Combs said, as a pair of local police officers came in for their daily açaí bowl filled with fresh fruit, granola and yogurt. Moore de Brasil’s market has been popular among Oklahoma’s diaspora Brazilian population. Favorite items in the market are a variety of Brazilian chocolates and cookies, but it also sells yucca root flour, soda made from the guarana berry (often found in American energy drinks) and requeijão, a soft cheese spread that is more savory and adaptable than cream cheese. Combs and De Aquino work with a pair of international suppliers to bring in products for the market that also include Brazilian cuts of meat and sausages. 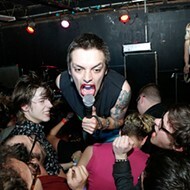 Combs said one day she hopes to pursue becoming her own importer and exporter using her connections in Brazil. Moore de Brasil also sells Brazilian coffee served strong and offers free Wi-Fi for people who want to spend a leisurely amount of time working or studying. There is also a lounge area with couch located next to a play area for children. 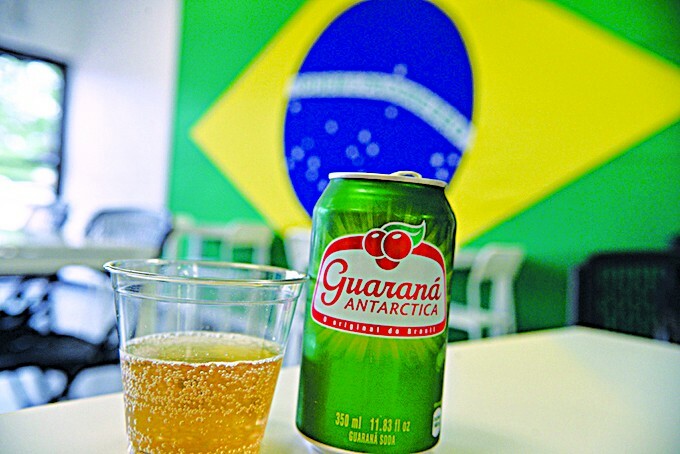 Soda made from the guarana berry is highly sought-after by Brazilian expats who come into Moore de Brasil. The family stays connected to Brazil. Combs’ mother Shirley also lives in Moore but regularly visits a children’s shelter they she and her late husband James helped build. Julia and her brothers Jonathan and David regularly visit their father in Brazil. Combs said she tried to intertwine Brazilian values of tight-knit families with American independence.